The tiny mountain village of Las Pircas is a long way from Logan, Utah – the home of Juniper Systems. 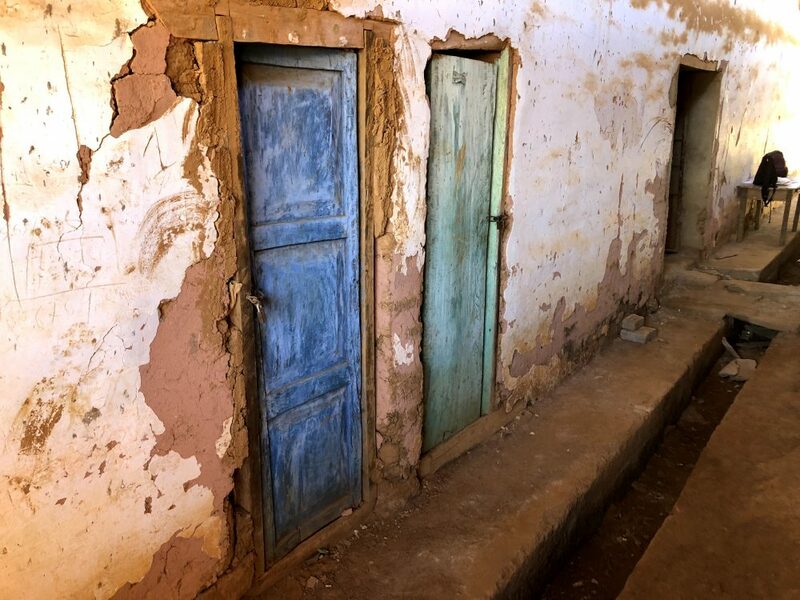 There are at least a couple lengthy flights, an eight-hour stomach-churning drive on battered dirt roads, and 3,800 miles as the crow flies between the 70 or so families that populate Las Pircas and the employees at Juniper Systems. Juniper Systems this year made a sizable donation to Utah-based non-profit Choice Humanitarian. 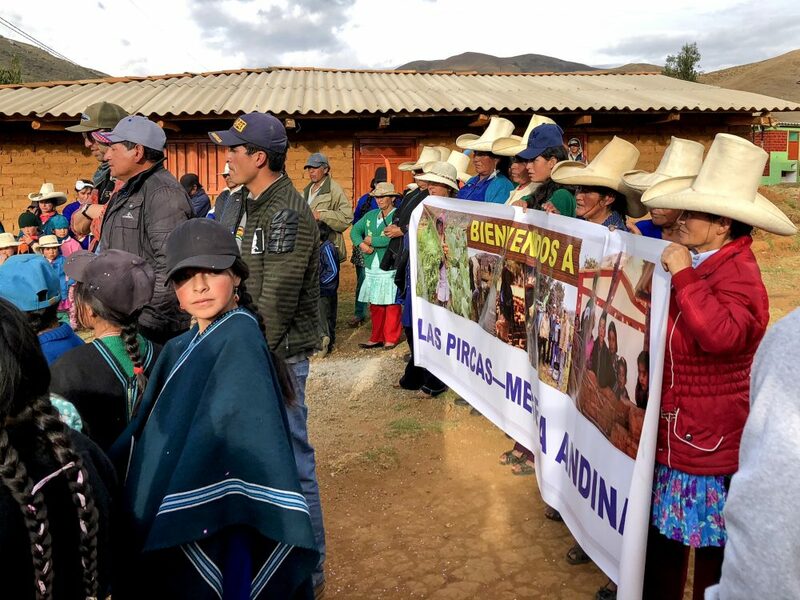 Months after contacting the non-profit, five employees and their spouses landed in Peru, destined for a dry mountain plateau nestled 10,200 feet above sea level and hours from the nearest city. In total, Juniper Systems sponsored 10 people for the humanitarian trip. The city of Piura, the capital of the Piura Region, served as the group’s base camp after they landed on Oct. 13 at the region’s central airport, which consists of a single runway. A day after landing, Juniper Systems employees jetted off in vans. The vans – locally called combis – toured projects Juniper Systems had helped fund. The projects varied from new community gardens to garlic and trout farms. One group of women once ridiculed by the men in their village for stunted efforts to raise and sell ducks – now run a successful duck farm, ushering unseen income sources to their village. The men now earnestly approve of the duck farm. Choice Humanitarian taught the women enhanced farming practices and provided resources that ultimately lead to the project’s success. 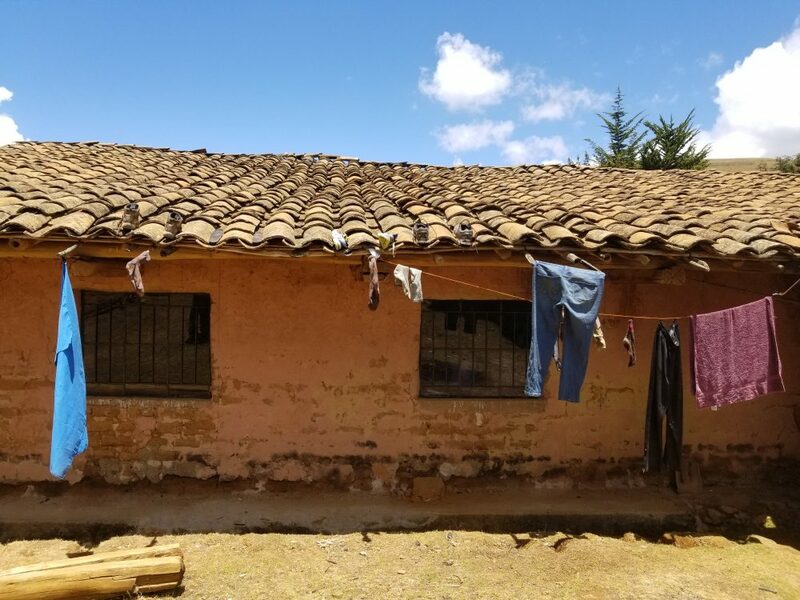 For many of those worldwide impacted by Choice Humanitarian projects, the benefits go far beyond additional money and resources for the village. These projects give untapped hope, showing the youth a path forward and upward. “That’s what they value most,” he added. After touring villages surrounding Piura, the team of volunteers consisting of around 30 people – from dentists to college students – headed up to Las Pircas. 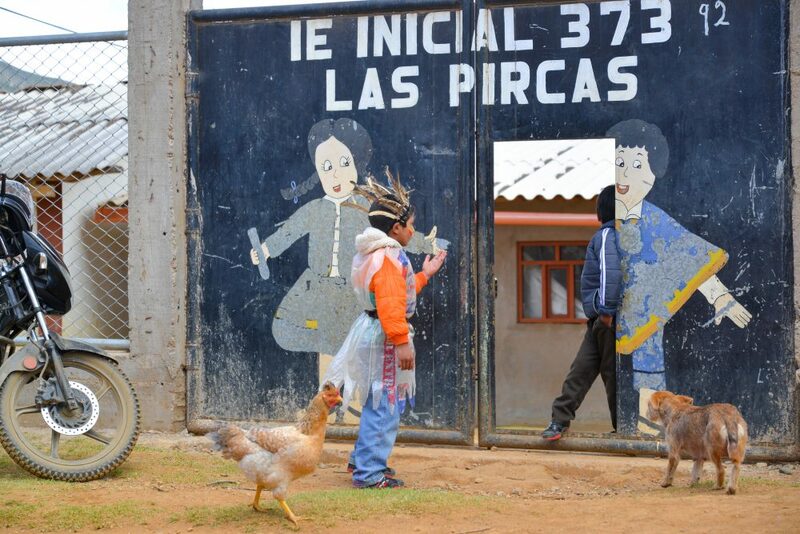 The village of Las Pircas is situated remotely in the Andes Mountains. The road to Las Pircas is a long, bumpy, and dusty one. 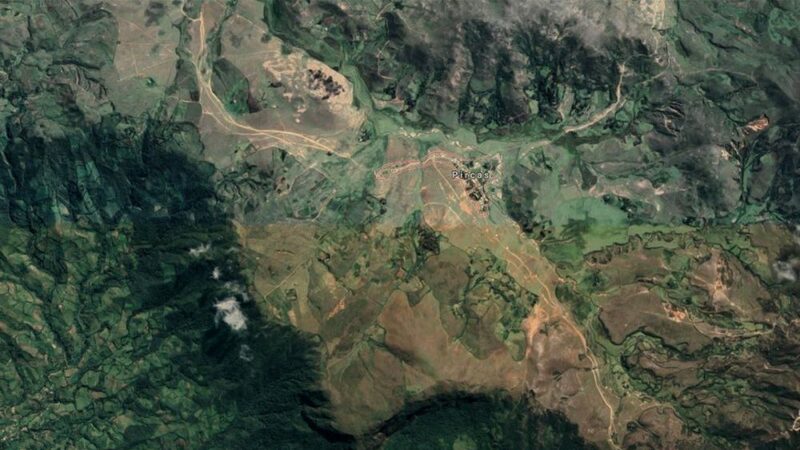 Past the mountain bench city of Frias, the closest city to Las Pircas, the washboard dirt road gets jutted, uneven, and sometimes treacherous. 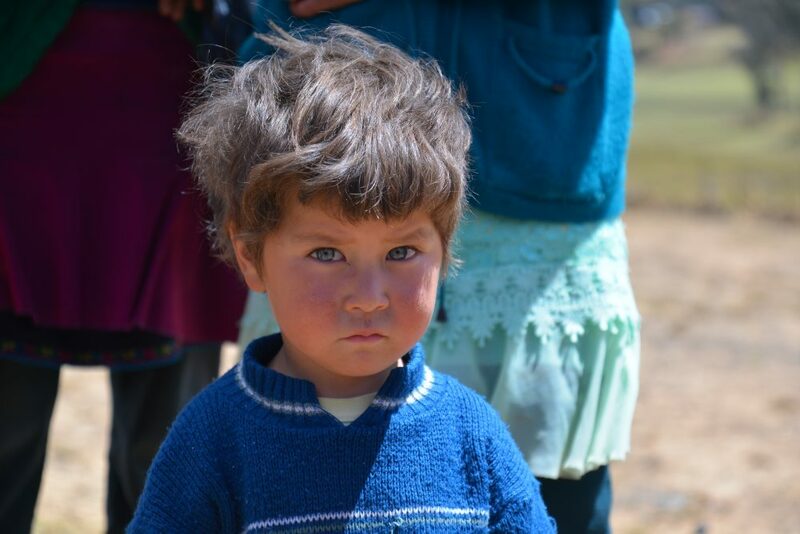 But it’s the gateway to mountain villages scattered high in the Andes Mountains. It can take villagers six hours on foot or by donkey to traverse between Frias and Las Pircas. During El Nino years, when warm storm patterns often wash out the road for months at a time, the road can become impassable by vehicle. The small vans on Oct. 14 – however – dusted off the challenge and eventually ushered the team of volunteers to a welcoming sight. “BIENVENIDOS A LAS PIRCAS,” a sign held by scores of villagers read. Marie Budge – rattled by the long ride and heartened by the greeting committee – almost began to cry. “I was genuinely touched by how much excitement they had for us, because they didn’t know us,” Budge said. The whole village danced, smiled, and yelled as the group of strangers with Choice Humanitarian arrived. 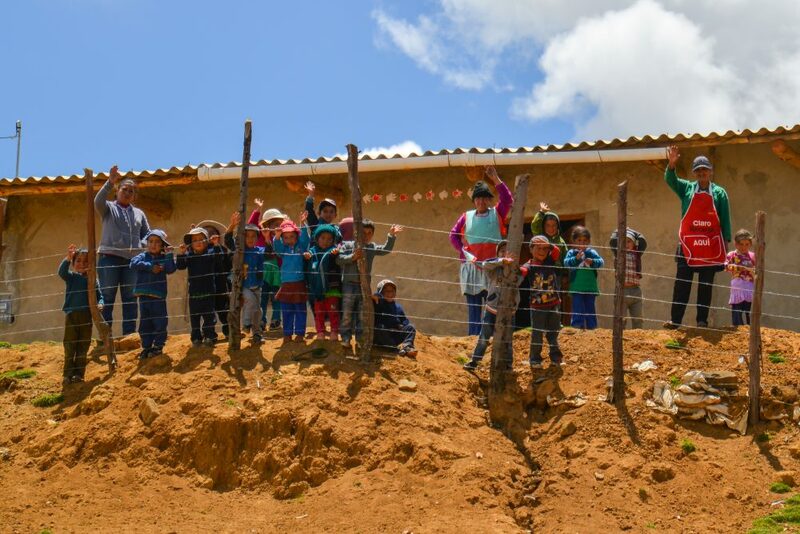 Choice Humanitarian has spearheaded other efforts in Las Pircas, a community that represents a prime candidate for projects. 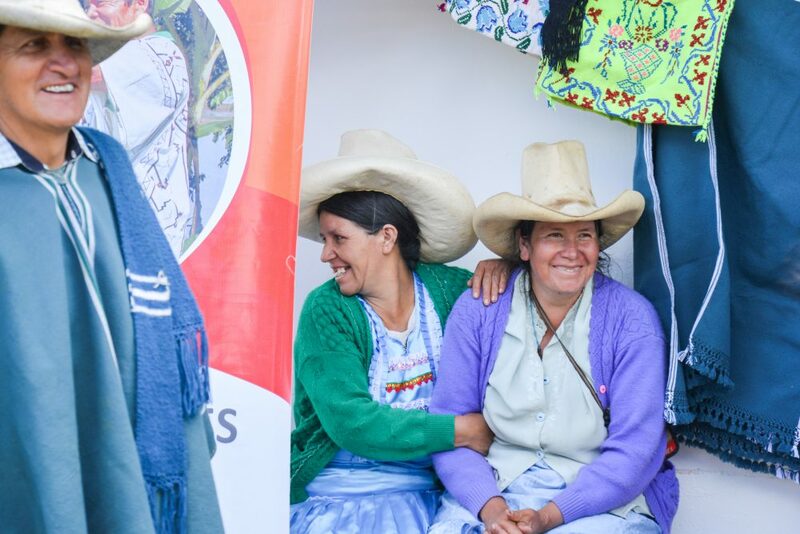 Choice Humanitarian uses paid in-country teams made up of locals from the region or country to select, execute, and monitor projects like the ones in Las Pircas. The day after Juniper Systems’ volunteers arrived, they were off to work. 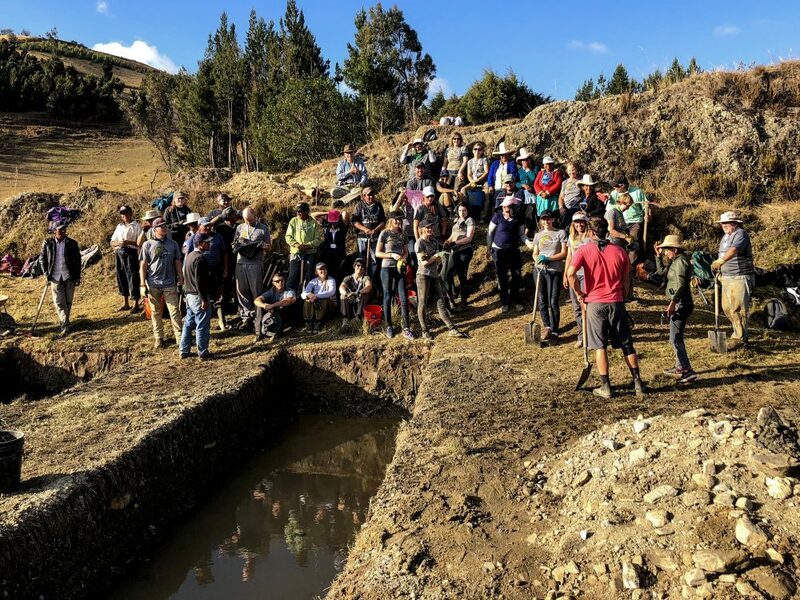 The whole team joined locals from Las Pircas on a trek to build a new community fish farm. Prior efforts to raise fish in the area faltered until a specialist from Choice Humanitarian taught the villagers updated practices – now, the village is ready to do more. Traditionally, Las Pircas is a hand-to-mouth village – where the day’s work provides little more than food and shelter for each family. These projects will allow the village to sell surplus goods. Any extra money, the villagers said, will be used to send their kids to higher education outside of the village. 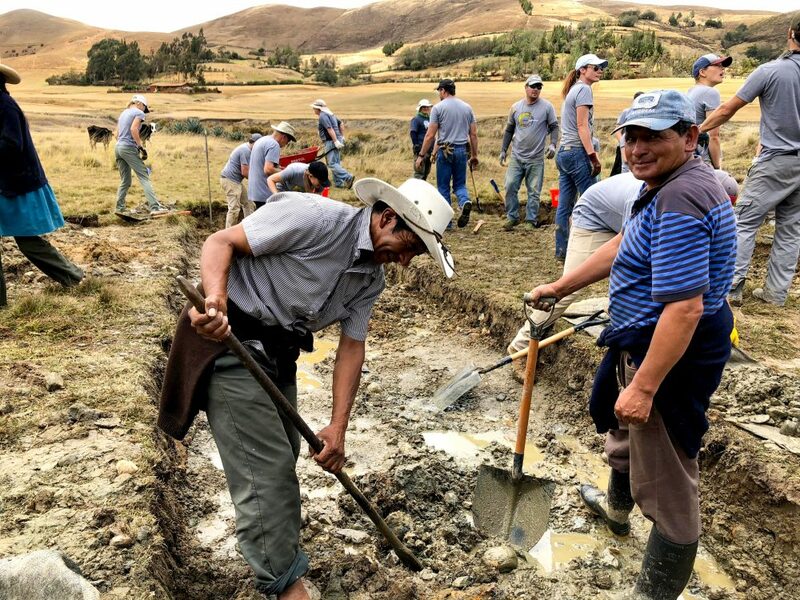 Away from Las Pircas – after crossing the streams and fences that pepper the mountainous valley – the team worked for two days to dig two 40-foot long trenches that will eventually provide much-needed protein to villagers. In addition to manual labor, volunteers brought math books, hats, Frisbees, and soccer balls. They helped with a day dedicated to the women and girls of the village, a collaborative effort organized by the non-profit Days for Girls. It taught healthy menstruation practices and provided underwear and reusable pads. They also joined villagers for soccer, songs, and games. Juniper Systems process improvement engineer Jordan Allen echoed that sentiment. 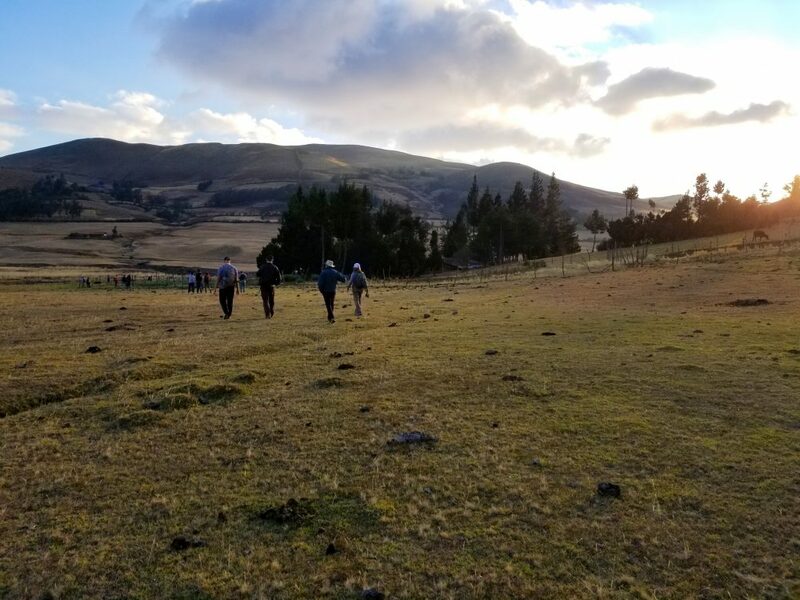 After five days on the Andean plateau, the volunteers packed up to leave and gave a tearful goodbye before they headed back down to Piura. “It was incredibly touching to see the hope in their eyes as they realized and understood what this progress meant to them and to their families,” Labrum said. The hope mixed well with happiness that already radiated from the village, he added. Juniper Systems didn’t feel so far from Las Pircas anymore. Juniper Systems donates a portion of its profits each year to philanthropic efforts. 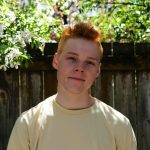 In 2018, Juniper Systems donated funds to Choice Humanitarian and equipment to Utah State University. In addition, the company created a scholarship fund and supported several other local organizations with small financial contributions. Learn more about Juniper Systems and its rugged lineup of devices on its website here.